While I was in Europe last year, I brought along an unlocked phone and purchased refillable SIM cards as I hopped from one country to the next. It was incredibly simple: I bought a SIM card from a carrier such as Orange or Vodafone, picked a voice-plus-data plan, and paid for the SIM card, and I was out the door with a fully functional smartphone. A few SIM-card-only vendors are here in the United States, but I’ve never been satisfied with their plans, their coverage, or their small data caps--until I tried Red Pocket Mobile. As an AT&T MVNO (Mobile Virtual Network Operator), Red Pocket Mobile uses the exact same GSM network as AT&T does. Service is limited to the United States, including Hawaii, Alaska, Puerto Rico, and the U.S. Virgin Islands. Red Pocket sent me a SIM card to test-drive, so I used an unlocked Samsung Galaxy S II to try the $60-per-month plan, which is the priciest of all of the company's unlimited and prepaid plans. The plan gave me unlimited talk and text, unlimited MMS, 2GB of mobile Web, and up to 200 international rollover minutes. Red Pocket Mobile’s other unlimited plans range from $20 to $50. The company also offers a pay-as-you-go plan. The difference between Red Pocket Mobile and other prepaid carriers is that you can use any unlocked GSM phone of your choosing--an appealing option, since one of the weaknesses of prepaid carriers is that they don’t always make the latest and greatest smartphones available to customers. One thing to consider, however, is that unlocked phones are quite a bit pricier than carrier-subsidized phones. Setting up your Android phone with Red Pocket’s service is simple. 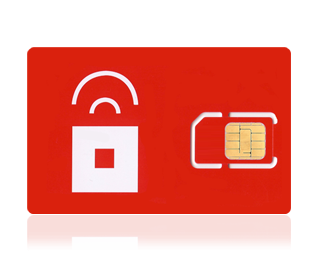 After you purchase your SIM card, you go to the Red Pocket Mobile activation site, punch in your SIM card ICCID information (which you can find on the back of your card’s plastic holder) as well as some personal information, and then click Activate. After installing your SIM card, you must download the Red Pocket Configurator app from Google Play. Once it downloads, you click 'Yes, Go Red Pocket', and your phone is ready to make calls, send messages, and browse the Web. There are a couple of catches, however. Currently the app is incompatible with Ice Cream Sandwich, as Google now blocks third-party apps from making APN setting modifications. If you’re using Red Pocket Mobile with an ICS phone, you’ll have to manually configure your phone on the Red Pocket Mobile site. Setting up an iPhone, BlackBerry, or Windows Phone handset also requires a little work, as you’ll have to configure your APN settings manually on those devices too. 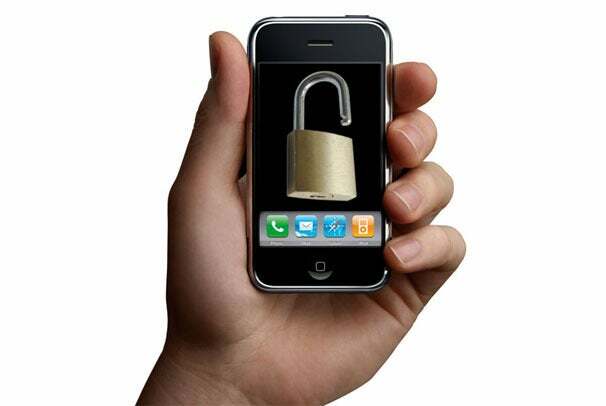 Thankfully, Red Pocket Mobile has a fairly comprehensive knowledge base as well as a help line that you can call if you run into any issues. Red Pocket is now selling micro-SIMs too, which are compatible with the iPhone. Because Red Pocket Mobile hooks into AT&T’s network, you’ll get the same coverage as you would on AT&T. We have pretty good coverage here in San Francisco, and in my tests the Samsung Galaxy S II got some impressive data speeds over 3G. After you buy that 2GB of data, you won’t have to worry about being subjected to data throttling or overages when you reach your cap--it just stops. While some people might object to this arrangement, at least you won’t have to fret about being slapped with unexpected fees. The bottom line: If you can deal with a data allowance of 2GB per month, the Red Pocket Mobile Unlimited plan is ultimately a better deal than AT&T’s comparative plan. For example, an unlocked 16GB iPhone 4S costs $649 (without tax). If you use Red Pocket’s unlimited $60-per-month plan, you’ll pay $1440 for unlimited MMS, unlimited minutes, and a monthly allotment of 2GB of data over the course of two years. That comes to a total of $2089 with the price of the unlocked iPhone 4S included. A subsidized 16GB iPhone 4S from AT&T costs $200. An AT&T plan comparable to Red Pocket’s would offer unlimited minutes ($70 a month), 3GB of data ($30 a month), and unlimited texting ($20 a month), coming to a total of $120 per month. AT&T would also charge you a $36 one-time activation fee for the iPhone 4S. All of that totals $3116 for service over the course of two years, including the price of the phone and the activation fee, but not including tax or any other surprise fees that might show up on your bill. If you use a lot of data, you’ll have to connect to Wi-Fi whenever possible to conserve that 2GB. If you don’t have free Wi-Fi ready and available at work or at home, Red Pocket might not be for you. Right now, 2GB is the maximum for the current data plans, but I expect Red Pocket Mobile to add more plans in the future with (I hope) a bigger data cap. You can buy Red Pocket SIM cards from the company’s site or from Amazon.